This volume is one of a series of twenty-four from Time-Life Books that chronicles the history and culture of the Native Americans. 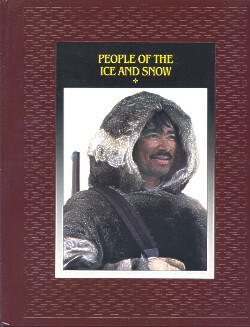 People of the Ice and Snow is a high-quality, comprehensive overview of the Aleut, Yupik, and Inuit cultures that's filled with luminous full-color photographs, reproductions, and maps. The text is divided into three long chapters providing even those new to the subject with solid, even-handed material delivered in a respectful tone. Six photo essays and many shorter photo-and-text treatments are interspersed throughout.